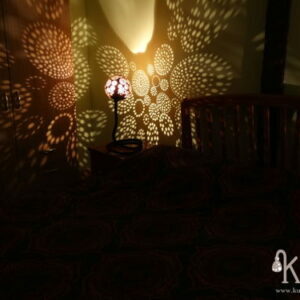 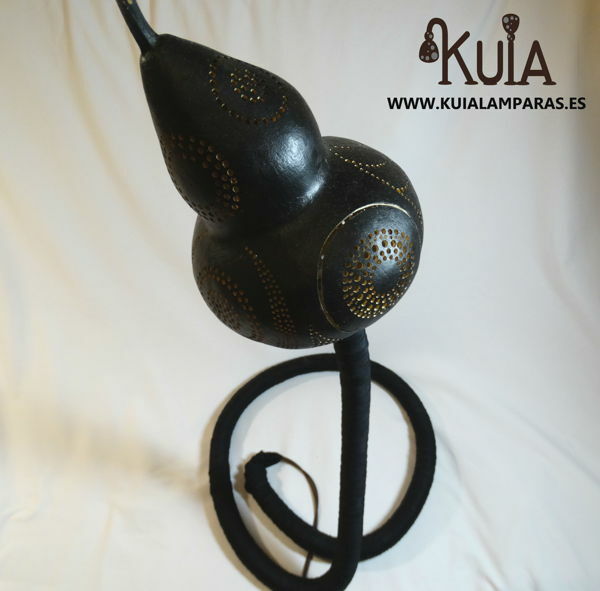 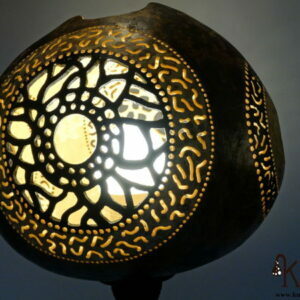 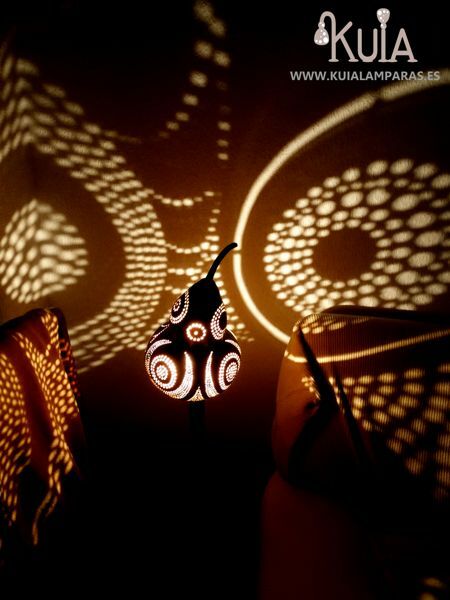 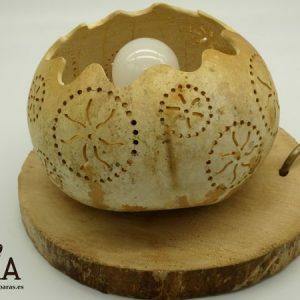 Etnic-ambiental lamp.A beautiful ethnic lamp designed to create ambient lighting. 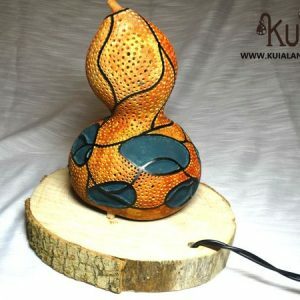 It is a hand carved gourd cultivated myself. 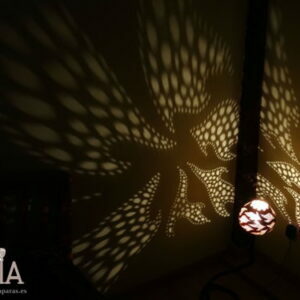 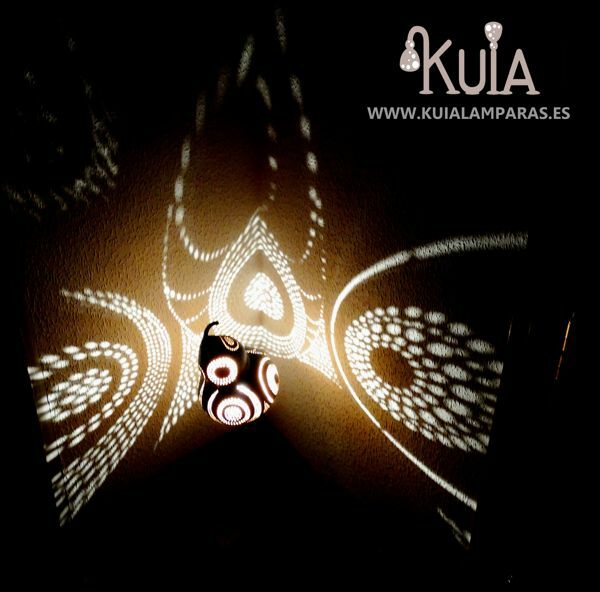 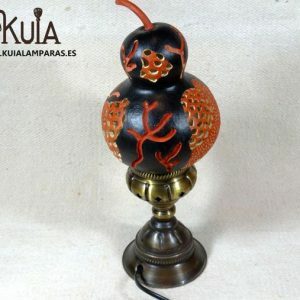 The design of the lamp consists of half harps and other half-round figures, looking for an ethnic decoration as the figures form their own shadows on the wall, giving the room an ethnic or spiritual atmosphere that is perfect for lovers of this type of lamps.